To celebrate St Patrick's Day weekend we have County Wexford singer-songwriter Maverick Sabre in session. He is joined by Brits winner Jorja Smith to duet on his single Slow Down. To celebrate St Patrick's Day weekend we have County Wexford singer songwriter Maverick Sabre in session. 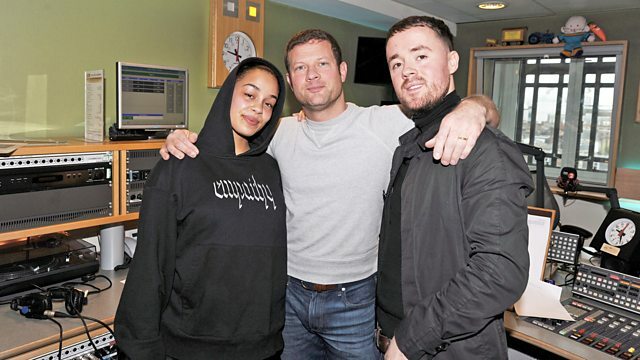 He is joined by Brits winner Jorja Smith to duet on his single Slow Down. Jorja recently won Best Female to add to her Critic's Choice Award. Dermot grew up in Wexford before moving to Colchester as a boy. Pet Shop Boys - Very. Me Without You O.S.T. - Various. Walk On - Hits From The Last 2 Decade. Crowded House - Recurring Dream.